It’s not a croquette or an eierball behind the small door, but a bunch of tulips. Drenthe now has its very own flower dispenser: it’s FEBO for flowers. Jan and Yvonne Vos’s flower bulb company, Melanick, recently opened their own flower vending machine in Smilde in Drenthe. Melanick grows thirty different types of tulips and also sells bulbs. The idea behind the automat was to prevent theft, RTV Drenthe reports. The tulip growers sold some of their flowers from a roadside stand, relying on the honour system for buyers to leave the money in a letterbox. “Some people ‘forgot’ to pay and that was extremely frustrating”, Vos says. In 2018, every single flower was taken from the stall for free. Vos says that the company decided to stop using the stand, but local residents and regular flower buyers were so saddened by the loss of the flowers that the Vos’ came up with a new solution: a vending machine. According to Dagblad van het Noorden, two enforcement officials from the municipality of Midden-Drenthe paid a visit to the tulip automat on Tuesday and requested that Vos stop selling the flowers from the device. 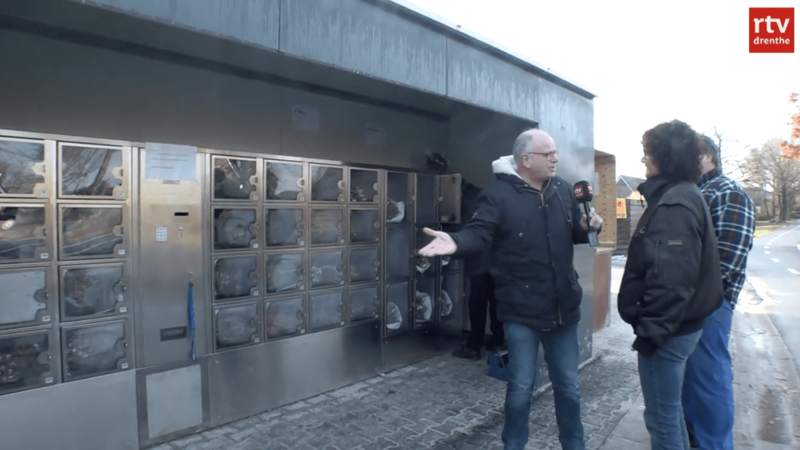 A spokesperson for the municipality says that the automat is an unauthorised structure, but did not say if there would be any consequences to keeping the automat open. What are the most popular children’s names in the north?